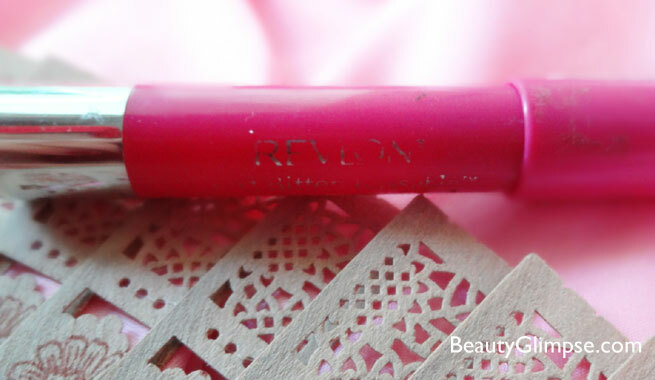 Revlon came with the revolution of balm stains in India and I of course did fall prey to it happily. Though it did burn 2 holes in my pocket (I got 2 of them) I am more than happy to have them. I have been using it since the day I got it and I love it to the core; it adds that pop of color to your dull face and gives a wow effect. Want to know how? Keep on reading. Price is recently increased to 700! 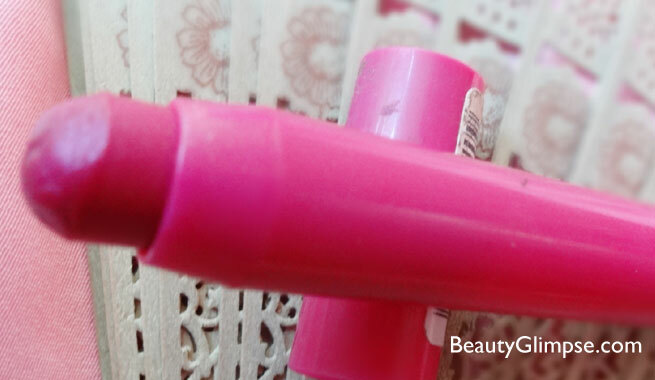 Directions of use: Start applying from the center of the lips.. Layer more for more coverage. I was overwhelmed when there was one phase and whoever I followed overseas was raving about this balm stain. I was dying to see it in India and they launched it pretty late here I must say. It was like almost I was on my death bed for this product and the moment it was launched in India, I got my life back. Hilarious! Isn’t it. Anyways let’s continue to the product review. The product comes in a crayon like chubby packaging. The color of the crayon is the same like the product itself. Though I must say this shade in particular is a tad bit brighter than the cover. The cap and the entire body are in fuchsia color. The crayon has a silver bottom twist screw. It helps in extracting the balm out of the tube and again back in. The balm on opening gives a minty smell. I must say the smell is string but it won’t stay with you for a long time. You might hate or love this smell. I love this smell. The concept of balm stain is basically it’s a fusion between a balm and a lipstick and it would give the required qualities of a lipstick and a lip balm as well. A caution! This shade is not for weak hearted. This is a totally pop out color and will look good on medium to fair skin tones. The shade is specific for less than 30 age group but feel free to experiment. The formula is light and moisturizing. It’s not heavy at all and you need no time to blend it in. Since it’s like a crayon the application is a bit simpler. Now if you really have extra dry lips you might need a balm underneath. This gives a good color payoff in one swipe but you can roll on for more intense color. The color is totally fun and party! It brings attention to the lips so be sure you compliment or tone down the eye makeup. 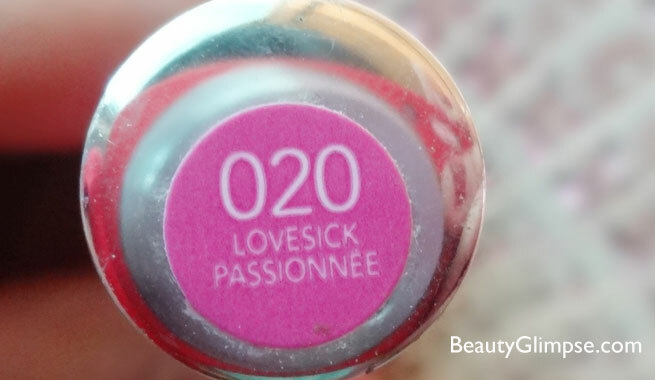 I love this color and whenever I am in no mood to apply much makeup I just throw it over my lips and I am ready to go. The staying power is amazing. It stays put on your lips under all circumstances for about 6 hours easily provided you applied it properly. 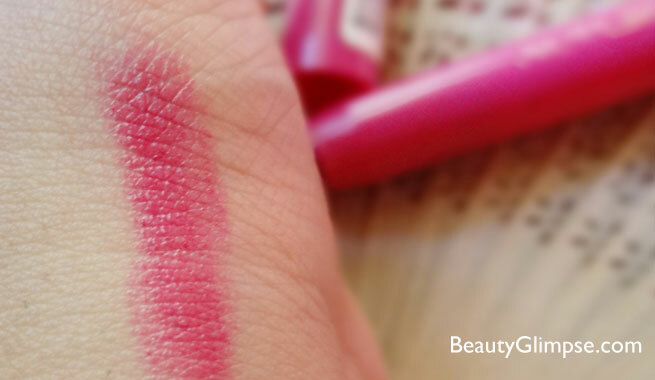 It won’t bleed or cause any other usual lipstick problems. I would recommend everyone to try at least one shade from this range.